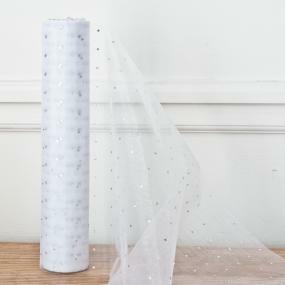 White organza roll decorated with silver glitter dots. The roll measures 29cm x 10m. This roll of white and silver glitter dot organza is ideal for swags, tying on chairs, table overlays and runners, floral and balloon decoration and for making big bows.